This week at the gym, one of my workout buddies brought us Jazz apples. They were delicious. After my workout, I went to Publix to get a few for myself. I was surprised to find that they didn’t have Jazz apples, but did have Kanzi apples, which I later found out are an “apple cousin” to Jazz. A quick scan of apples at Publix revealed several new names, and I wondered what had happened to the apple industry since the beginning of my grocery shopping days. Back then, Red Delicious apples were about as good as apples got. I remember Granny Smith and Macintosh, but nothing exotic like Honeycrisp, Jazz, Gala or Pink Lady. The changes we see in the produce aisle reflects the increasingly fragmented apple industry, where major growers have moved away from relying on few varieties for their income. Rather, many are diversifying their orchards, aiming to cash in on the premium prices of licensed niche apples and creating competition among breeders to develop the next big flavorful apple. In 1999, Red Delicious accounted for a 51 percent of the nationwide sales. By 2015, that number had dropped to 25 percent, according to data from the Washington Tree Fruit Association. The five newest varieties of apples include Junami, Kanzi, RubyFrost, Opal and SnapDragon. And on the horizon for 2019 is the Cosmic Crisp, an apple named for the stellar-like appearance of the “striking” lenticels on the apple surface. I can hardly wait! And you can say you heard it here first, on Every Woman blog. 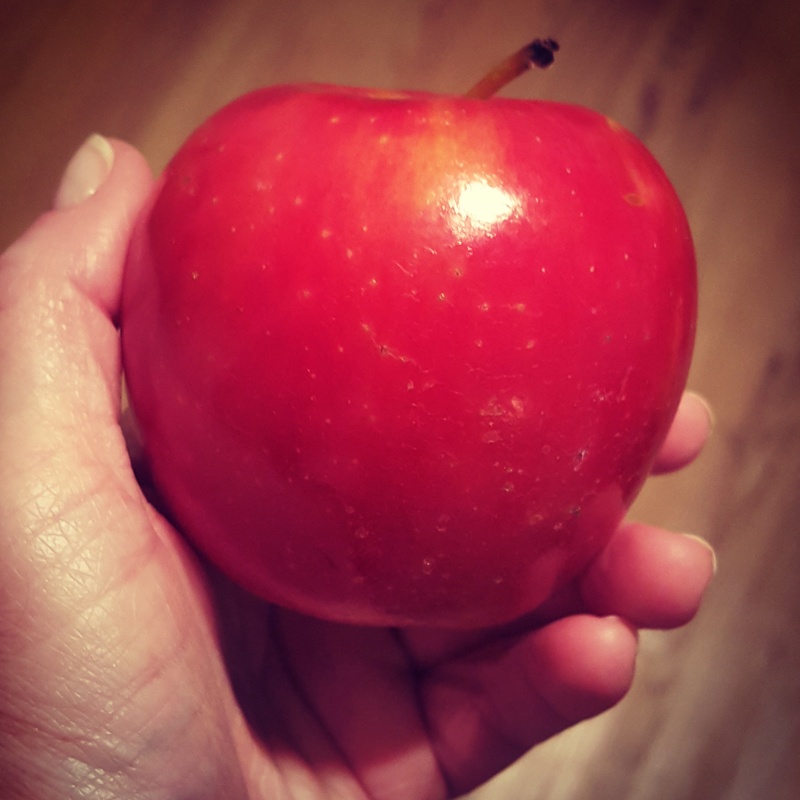 And the old saying “An apple a day keeps the doctor away?” According to Medical News Today, apples were the original super food and have many health benefits, from improving neurological health to reducing the risk of strokes and diabetes. And with 7000 varieties, there are just more ways to stay healthy. What is your favorite kind of apple, and how to you like to eat it? This entry was posted in Food, Mary Pat Baldauf and tagged apples, Columbia, every woman blog, Famously Hot, healthy eating, lexington medical center., mary pat baldauf, Midlands, South Carolina by lexingtonmedicalcenter. Bookmark the permalink.